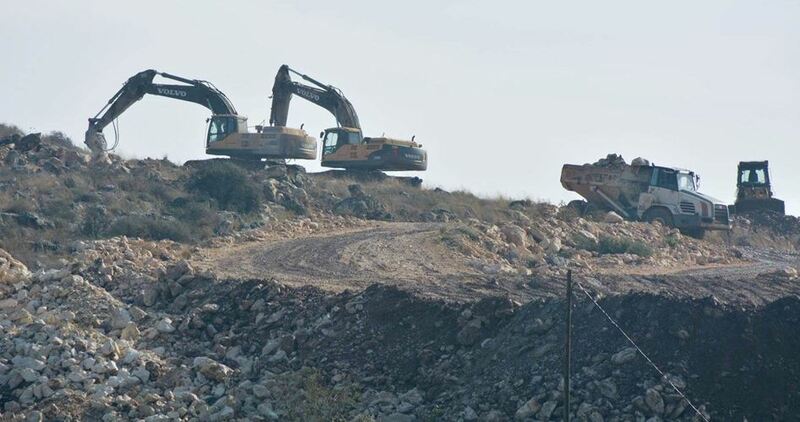 The National Office for the Defense of Land on Saturday said that the Israeli government, in defiance of international law, has launched a new set of settlement expansion projects in the occupied Palestinian territories. 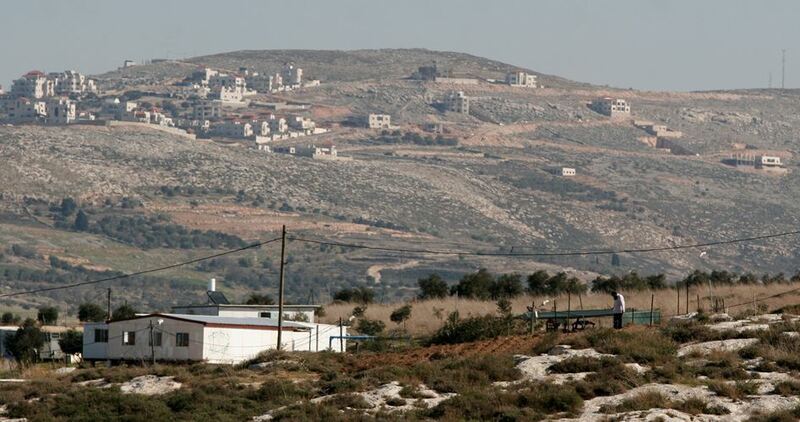 The National Office said in a statement that Israel's escalated settlement expansion activity in the West Bank is considered a war crime under Rome Statute. It added that the Israeli government intentionally continues to defy the international legitimacy resolutions, stressing that these illegal practices require that the International Criminal Court open an immediate investigation to hold Israel's leaders accountable for their crimes. The National Office called on the international community to make serious actions toward a complete halt of Israel's settlement construction activities. Israel's War Minister Avigdor Lieberman revealed on Twitter that new projects involving the construction of 3,900 housing units in about 30 settlement blocs in the West Bank and Jerusalem have been recently approved by the government. The National Office in its statement denounced the Israeli Supreme Court's decision in favor of demolishing al-Khan al-Ahmar Bedouin village and moving its residents to al-Eizariya town in Jerusalem, saying that it falls in line with a mass displacement and ethnic cleansing policy pursued by Israel against the Palestinians. The UN Security Council on 23rd December 2016 voted by an overwhelming majority in favor of a resolution stipulating that Israel's settlement construction in the Palestinian territories occupied since 1967, including Jerusalem, is illegal and calling for its immediate cessation. 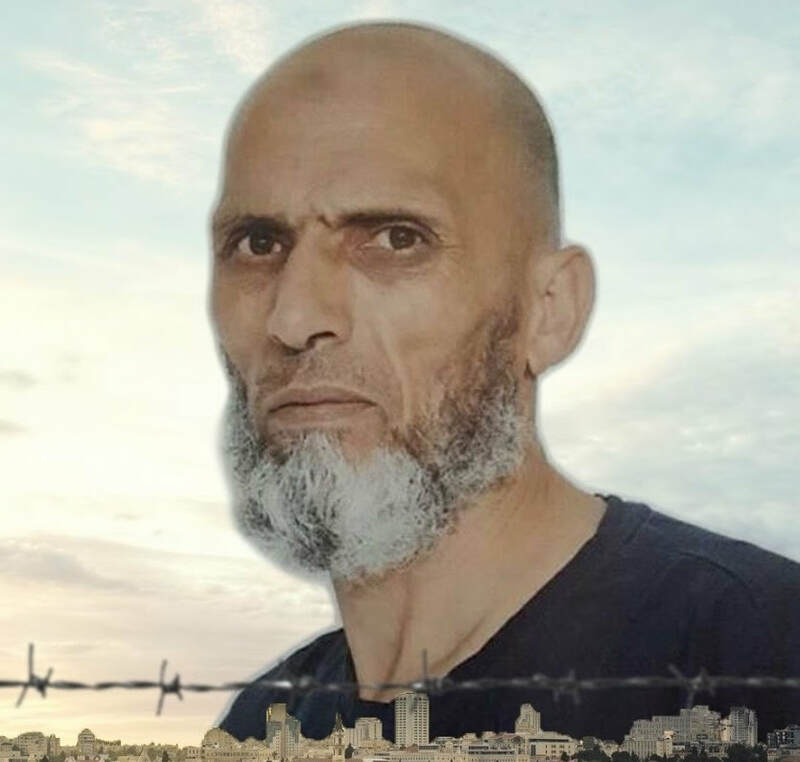 Palestinian Detainees and Ex-Detainees Affairs Commission on Saturday unveiled a testimony by prisoner Feras Omari who met with slain prisoner Aziz Oweisat in the Bosta, a vehicle used for the transfer of Palestinian prisoners, while he was being transferred from Eshel prison to Ramle clinic on 7th May. Oweisat died a few days ago from a heart attack he suffered after being brutally beaten by Israeli prison guards. Feras Omari said that when he entered the Bosta he saw blue bruises all over Oweisat's face, adding that when he asked him about what happened he told him that 10 Israeli guards broke into his cell in Eshel prison on 2nd May and beat and punched him brutally. "I noticed that he was suffering from pains in his chest and he could barely breathe," Omari said. Commenting on this testimony, head of the Detainees and Ex-Detainees Commission Issa Qaraqe said that the results of the autopsy conducted for Oweista's body on 25th May showed bruises on his right waist and marks of chains on his hands and feet. Qaraqe said that the Israel Prison Service (IPS) committed three crimes against Oweisat. First, Oweisat was suffering from heart problems. He underwent an open-heart surgery in 1998 and a cardiac catheterization in 2003. Despite the fact that the IPS was aware of his health condition, no proper treatment was offered to him, so his health kept worsening day by day. Second, the Israeli guards' attack on Oweisat led to further deterioration in his health until he died from a heart attack on 20th May. Third, Oweisat was violently beaten and assaulted although the IPS and the prison doctors were fully aware of his critical health condition. They were the reason behind the complications that he suffered after the attack and later led to his death. Qaraqe stressed that this is a deliberate and complex crime that is added to an endless series of violations committed by the IPS against Palestinian prisoners and requires the intervention of the International Criminal Court. 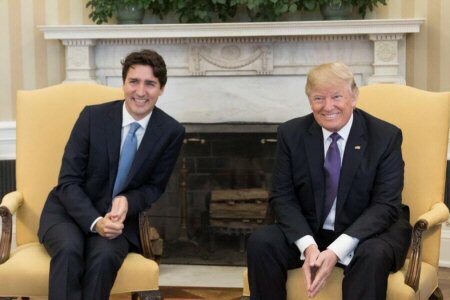 In the case of 19 other human rights violators, the Trudeau government has gone well beyond mere investigation by imposing economic sanctions. Meanwhile, it lavishes support on Israel – a state whose human rights violations the Canadian government has acknowledged for decades – by voting against broadly-supported UN resolutions critical of Israel’s human rights abuses, supporting more trade between Canada and Israel, allowing products from Israel’s illegal, West Bank settlements to be labelled as ‘product of Israel’ in Canadian stores, permitting the sale of Canadian-made weapons to Israel, and according charitable status to the Jewish National Fund, an organization that is deeply complicit in the violation of Palestinian human rights. The Canadian government even permits Canadians to serve in Israel’s lawless military forces. Tayseer Khaled, member of the PLO’s Executive Committee and Head of the Palestinian Expatriate Affairs Department, has described the referral of the Palestinian situation to the International Criminal Court (ICC) as a qualitative step, adding that the leaders have to be reckoned for the series of crimes they have committed against the Palestinian people under occupation, including settlement crimes. Khaled said, according to the PNN, that those targeted for reckoning and prosecution are all Israeli members of the Knesset, which enacts laws that encourage settlement, and the judicial system; i.e. the Ministry of Justice, the Court of Justice and other competent courts that discuss and approve the confiscation of public and private Palestinian lands, as well as the Prime Minister, Ministers of the occupation Army, Housing, Education, and others who lead such activities and allocate large sums of money to establish them, the military and security officers who issue orders to demolish the Palestinian properties, Nir Barkat Municipality in Jerusalem, leaders of the Settlements Council and the local councils of settlements and Jewish terrorist organizations who take settlements and settlement outposts as safe places for their crimes, protected by the Israeli army and police. Lastly, Khaled called for the formation of a Palestinian national commission, in order to document and follow-up the occupation and its officials’ crimes, their names and addresses, their involvement, planning and implementation of settlement activities, and keeping such data in a national data bank, available for specialists and experts to assist them in the filing of indictments, at the ICC, against Israeli officials involved in encouraging and promoting settlement, and by this conforming to the level of war crimes, under the provisions of article VIII of the Statute of the ICC. Accordingly, he says, they will be brought before the international justice, and the national courts in all democratic countries to deal with them so as to enhance respect for international law and achieve global justice. The Israeli occupation government approved the construction of thousands of settlement units across the occupied West Bank. Israel’s war minister Avigdor Lieberman said Thursday he requested approval from a planning committee for the building of 2,500 new homes in Israeli settlements in the occupied West Bank. "We will promote building in all of Judea and Samaria, from the north to the south, in small communities and in large ones," Lieberman tweeted, using the Biblical names for the West Bank. "In the coming months we will bring forward thousands more units for approval." The International Criminal Court (ICC), on Tuesday, responded to a request by the Palestinian Foreign Ministry asking them to investigate Israeli settlement building and alleged war crimes. 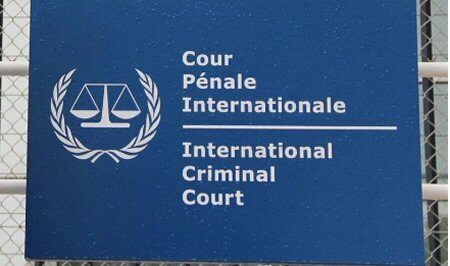 “Since 16 January 2015, the situation in Palestine has been subject to a preliminary examination in order to ascertain whether the criteria for opening an investigation are met,” Fatou Bensuda, the Netherlands-based ICC’s chief prosecutor, said in a statement. “This preliminary examination has seen important progress and will continue to follow its normal course,” she said. Bensuda said, according to Andalou/Al Ray, that her office evaluates and analyzes all information received independently, regardless of who it was referred by. “A referral or an article 12(3) declaration does not automatically lead to the opening of an investigation. The Rome Statute allows the ICC to investigate whether genocide, crimes against humanity, war crimes or crimes of aggression have been committed in a state which is either unable or unwilling to do so itself. On May 14, at least 65 unarmed Palestinian demonstrators in Gaza were killed — and thousands more injured — by intense Israeli army gunfire. The protests coincided with the 70th anniversary of Israel’s establishment in 1948 — an event Palestinians refer to as the “The Nakba (Catastrophe)” — and the relocation of the U.S. Embassy to Jerusalem, which took place the same day. 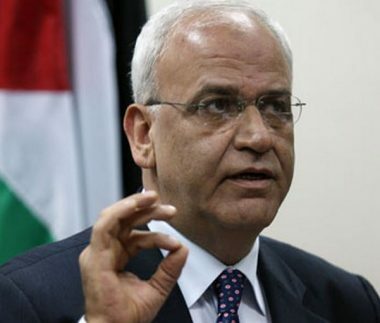 (By The Palestinian News & Info Agency (WAFA) – Referral [PDF] of the situation in Palestine to the International Criminal Court (ICC) is a national obligation in the absence of international accountability that deals with Israel as above the law, said Saeb Erekat, secretary general of the Executive Committee of the Palestine Liberation Organization (PLO), on Tuesday. The Israeli Foreign Ministry has summoned the ambassadors of three European countries over their support to the international investigation of the UN Human Rights Council, into the Gaza massacre, on May 15. The Ministry said, in a statement, that it summoned the ambassadors of Spain and Slovenia, and is to summon the ambassador of Belgium, over the last session of the UN council. The three countries voted in favor of carrying out an international investigation into the human rights status in east Jerusalem, West Bank and Gaza. 31 out of 47 countries voted in favor of carrying out an investigation, including Spain, Slovenia, and Belgium; the other countries abstained, according to Al Ray Palestinian Media Agency. 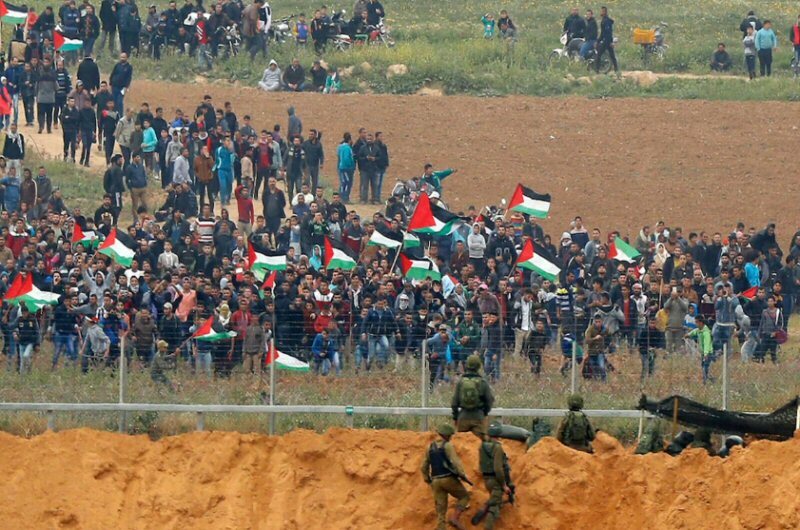 About 62 Palestinians were killed during the symbolic marches along Gaza border, on Monday, 14 May, while protesting the US embassy move to occupied Jerusalem. The Palestinian Ministry of Health explained that Israeli forces used explosive live bullets against peaceful protesters, causing critical injuries among them. The State of Palestine, as a party to the Rome Statute, has signed a referral to the International Criminal Court (ICC). The referral should cover all the Israeli crimes and violations committed or to be committed against the people of Palestine, in the past, present and future, said the Higher National Committee responsible for following up with the International Criminal Court. “Israel’s settlement regime is the single most dangerous threat to Palestinian lives, livelihoods, and national rights. Israel maintains, expands, and protects the settlement regime by committing war crimes, crimes against humanity, and the crime of apartheid against the Palestinian people. These gave crimes, which fall under the court’s jurisdiction, were highlighted in the referral. They include the forcible transfer of Palestinians, unlawful killings, illegal appropriation of land and property, the demolition of Palestinian homes and other properties, repression of dissent through unlawful killing of peaceful protesters, as well as the policy of mass arbitrary detention and torture.